Let’s face it, doing a detox is not an easy task. Although we are still getting enough calories, just the simple idea of knowing we are on a detox is enough to start craving everything and being constantly hungry. In order to make thing easy for you we have rounded up the best tips to keep you motivated and make this process easier for you. 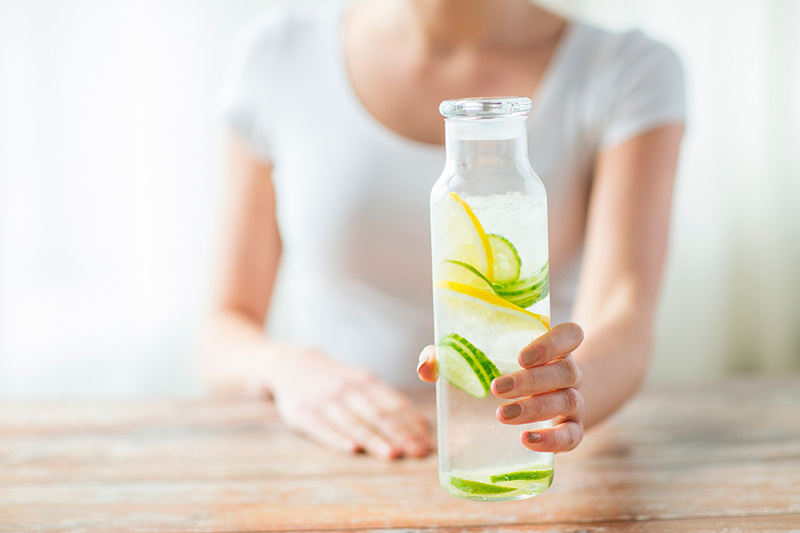 Yes, we know you have heard this over and over again, but is really important that during your detox you hydrate constantly. The majority of people don’t drink enough water since they wait until they feel thirsty. You should not wait since becoming thirsty means that you are already dehydrated, so drink water even when you are not thirsty at all. Just because you don’t feel hungry or you want to lose weight fast doesn’t make it okay to skip a meal. Any good detox program is planed around what is best for you and the amount of calories, vitamins and minerals your body needs. During your detox try staying at home. This will make things so much easier since you will avoid all sorts of temptations. Plus, your body also needs some down time in order to fully detox and recover. Not having your favorite food on your pantry or fridge will make it easier to avoid eating it. When you have your favorite foods available,your mind will start playing tricks and wanting you to go to the kitchen and have something. Knowing that you will have to get in the car in order to have your favorite food will make things so much easier. Doing a detox with someone else will help you keep motivated. You can also share and compare your experiences. Fifteen to thirty minutes of moderate activity like yoga, brisk walking, swimming, or bike riding will help your mood, digestion, and energy levels while on a cleanse. Anything beyond that will burn too many calories and cause you to feel faint, fatigued and famished. Now you have the perfect excuse to go and get a massage. Lymph fluid is moved during a massage, which promotes healthy elimination of toxins and circulation. If you fall out of the wagon don’t worry, just take over from where you left off. The point of doing a detox is to feel better. Critical thinking and being negative on your efforts because you didn’t follow the plan exactly generate stress and defeat the whole purpose of the detox. If you can’t distract yourself from the urge to eat something during that 3 p.m. crash or just before bedtime, satisfy it with a hot beverage instead. A cup of tea is a great way to add flavor and satisfy that sweet craving. Watch a movie, spend some time with your friends or read a book. This will help you to stop focusing on your detox and make time go faster. Before you know it the detox will be over!